When most people think of periodontal disease they think it’s limited strictly to the mouth. Did you know it is also linked to systemic diseases? That’s why our team at Stephen Ratcliff Family & Cosmetic Dentistry believes in educating our patients in the Arlington, Texas area about the merits of maintaining optimal oral health. Oral health and overall health are directly connected! What do your gums do? The soft tissue in your mouth, like skin, has an important job. It protects the roots of your teeth. It also provides a barrier for the connective tissues and ligaments that hold your teeth in their sockets. Plus the alveolar bone in which your teeth are anchored. Gum disease starts with inflammation. Gums become swollen and tender. In its early stages, gum disease is called gingivitis. As the disease proceeds, the gums pull away from the teeth, developing pockets. This is called periodontitis or periodontal disease. Bacteria are always present in the oral cavity. When it is left on the teeth and gums, it turns into plaque. Plaque is a thick coating of bacteria on your gums and teeth. Plaque accumulates if it is not removed by rinsing, brushing, and flossing. If plaque builds up in the pockets, the gums can start loosening. When plaque hardens, it is called tartar or calculus. You can’t brush away tartar with your toothbrush. You need to have a professional dental cleaning. 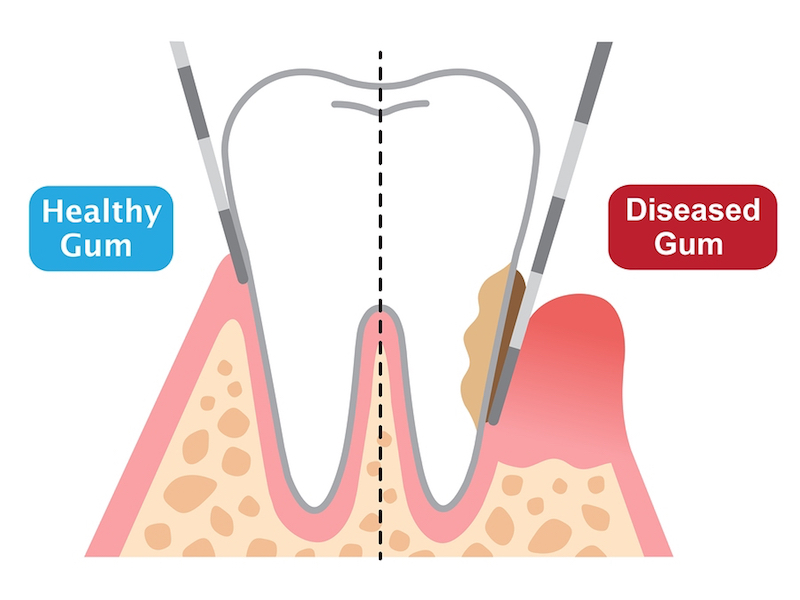 How does periodontitis threaten your health? Yes. Daily dental hygiene, professional dental cleanings, and a healthy, balanced diet help keep gums healthy. For more information on periodontitis treatment, to schedule a gum disease exam or even if you just need a routine dental cleaning or a cosmetic dentistry consultation in the Arlington, Texas area, please call us today at 817-274-7875.